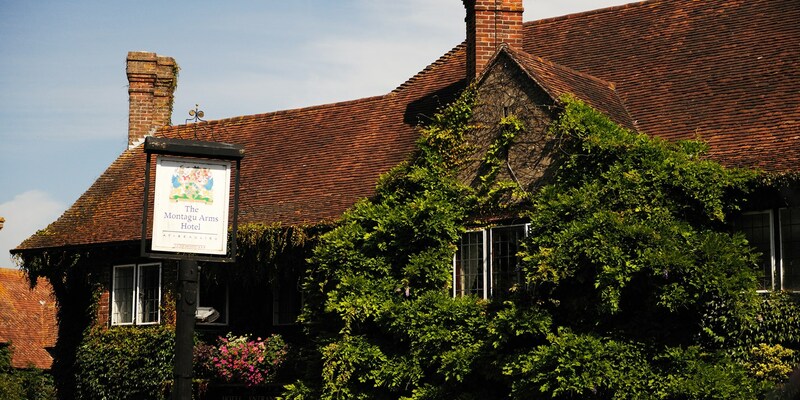 You may not expect to find an acclaimed restaurant nestled in the heart of the New Forest. Happily Isaac Parham was visiting the area last week and decided to go for dinner. Let's see what he thought. A scenic 90 minute train ride from the capital is all it takes to be in the stunning New Forest location of Beaulieu. Here, lies The Montagu Arms Hotel, home to the famed Terrace restaurant. It's an accommodating setting, homely furniture and country-house Tudor features which do not immediately shout Michelin star dining but perhaps that is a good thing. Upon our arrival we are given ample time to peruse the menu whilst seated on comfy sofas. Cheese gougeres are presented which taste as luxurious as the setting, the pastry is light and the cheesy centre melts in the mouth. As we finish our gougeres, we are greeted by Head Chef Matthew Tomkinson who is effusive in his praise for local produce. Of course, most chefs with any pedigree will talk about the importance of sourcing ingredients correctly and locally, but when Tomkinson eulogises - one is inclined to believe him. And, as he explains that the lamb is bred on the owner of The Montagu’s estate, the crab sourced from nearby Lymington and that all of the wild mushrooms are picked from the Forest itself; one begins to form an impression of the South of England as being a veritable chef’s paradise. Tomkinson is fast becoming one of the most regarded chefs in the country after winning a Roux scholarship in 2005 and obtaining a Michelin star for the Terrace after only 5 months of service. Yet in conversation he is quick to assert that neither he nor his food should take centre stage, of principal importance for this chef is creating dishes which reflect the setting and tie in with the overall experience of staying in the National Park. Such an approach - which is in part necessary, considering the remoteness of Beaulieu and the fact that this is a restaurant within a hotel – speaks volumes about Tomkinson’s unselfish brilliance and more importantly delivers dishes of considerable resonance and an acute awareness of seasonality. After all, the New Forest landscape is as much defined by its season as Tomkinson’s food; in warmer months verdant and bucolic, at other times frostbitten and deciduous, the setting –like Tomkinson’s food – nevertheless, remains unerringly inspiring the year round. Yet, Tomkinson informs us that he was in fact ‘working his way back north’ towards his native Manchester when he was offered the position at The Terrace, the fact that he accepted and is still here three years down the line, he says, is testament to his suitability to the environment. In the opulent dining area, an amuse bouche of celeriac and wild mushroom soup is followed by a tart wild mushroom and Madeira consommé with buttery tarragon gnocchi. My palate is cleansed and appetite fully in gear by the time my Turbot main arrives, the meat-like texture of the fish complemented by a delightful rosemary velouté and truffled lettuce. My friend has the sea bass, which tastes as good as it looks on our website. The dishes are presented cleanly, yet without undue pretence and I am reminded of what Matthew Tomkinson says to us before we eat, ‘guests want food, not architecture’. Whilst finishing my dessert - a sumptuous dark cherry soufflé, I recognise the curiousness of the layout for the first time; the restaurant, lounge and bar snake round the hotel’s beautiful gardens. A pretty design feature yes, but more than that, a clear microcosm of the Terrace’s ethos: that nature be at the heart of everything.